With the increasing heat and summer, it becomes your prime responsibility to protect yourself from the scorching sun and keep yourself hydrated. Here are some amazing home remedies for dehydration, to save you from the consequences and aftermaths of dehydration. Water, being the quintessential element of our lives, is a simple universal creation around which our life revolves. Every living being on this planet has to survive by consuming water! Plants, animals and for the matter of fact, our own body Is composed of 60% of water. In fact, our own planet, the one where we reside, constitutes up to 71% water. Water – A Universal Creation To Resolve All Your Problems! Signs Of Dehydration If Your Condition Is Severe! Isn’t it amazing to know that water is the solution to our health problems? Want to get a clear skin and gorgeous hair? Drink water! Want a good digestive system devoid of illness? Drink water! Want to lose weight? Drink water! Want to prevent cramps and sprains? Drink water! Water To Quench Your Never-Ending Thirst For Health Problems! But, your woes can now take a back seat because like any other health issue, for which you look out for other solutions to heal you, dehydration treatment does not require you to search for other remedies to resolve your complications. You just have to ensure; you include water as much as possible in your daily diet whenever and wherever you possibly can. A constant direct exposure to unbearable heat. Dehydration Symptoms – When To Consult Your Doctor? If you are subjected to severe dehydration because of any of the above-mentioned reasons like Diarrhoea, heavy periods, High fever, frequent urination, heavy bleeding during periods or excessive sweating, you must immediately consult your doctor for dehydration treatment. You can also keep a track of the home remedies for dehydration mentioned in this article to further help you fight dehydration or diminish the side effects of dehydration at any point in your life. Here are some amazing dehydration remedies or simply some amazing ways through which you can invite water into your body, and heal yourself from time to time and keep dehydration at a bay! 1. 3-4 Glasses Of Water For Each And Every Sunrise! How amazing does it feel to wake up fresh and active!? Mornings are often welcomed with a lethargic and drowsy mood by most of us. Water is a tremendous energy booster, that will instantly make your cells dance thereby bringing a kind of liveliness and zest to your morning. You just have to watch a marvellous ambience of sunrise unfolding in front of your eyes and gobble a few glasses of water as you stand in your balcony. If drinking, just the water does not feel interesting or if it feels burdensome for you to consume water on an empty stomach, you can add a tablespoon of honey and squeeze a fresh lime into your glass of water. This way, you can relish your morning drink and at the same time, heal yourself from dehydration. Whenever you feel an urge to quench your thirst and you are devoid of water, you immediately walk past a bakery to grab a coke-tin or a can of soda. This undoubtedly gratifies your thirst but is not going to have any positive impact on your health. What did our ancestors, grandparents and parents do that has made them strong, resistant and free from all kinds of illness and diseases? They never ever felt a need to go on in search of home remedies for dehydration. Nature was their best friend that supplied them with the best medicines and never asked for anything in return. They grew amidst beautiful farms, palm trees and coconut trees. They could easily reach out for coconut trees and have an amazing time drinking this medicinal refreshment. You might lose some important fluids from your body, because of exercise or direct exposure to heat. So, Hereby, whenever you feel a need to gratify your irresistible thirst, opt for coconut water, instead of opting for an aerated drink. How does it feel to savour a fresh, cool, juicy watermelon right after you come back home after the sun has sucked away all energy from your body!? When it is summer and you really cannot avoid stepping out and fighting the heat, you have to store this juicy fruit in your refrigerator because it is going to comfort you in a way no other fruit can do. This fruit originated in Saharan Africa, contains 92% water, which is why consuming this can and fill your stomach easily and reduce your appetite. It also contains Vitamin C that will boost your immune system and lycopene that will fight various free radicals in our body. 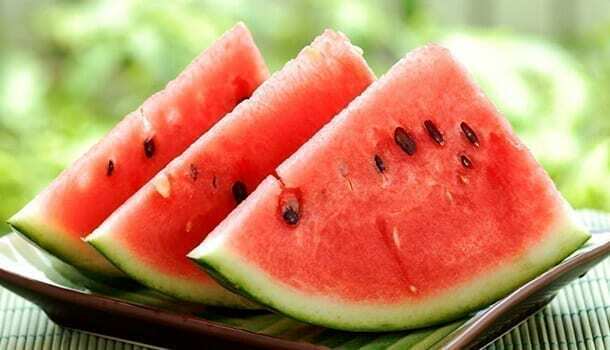 You can prepare a fresh watermelon juice all by yourself if it’s troublesome for you to toss away the seeds every time. If you are looking for ways to keep yourself hydrated and healthy, then it would be wise to devour not just fruits, but those fruits which relatively have high contents of water. Why Does Pineapple Hurt Your Tongue Causing A Prickly Sensation? If you have ever felt a prickly sensation that hurts your tongue, cheeks or lips while eating pineapple, then you are not alone. Pineapple contains an enzyme called bromelain, which causes this burning sensation. 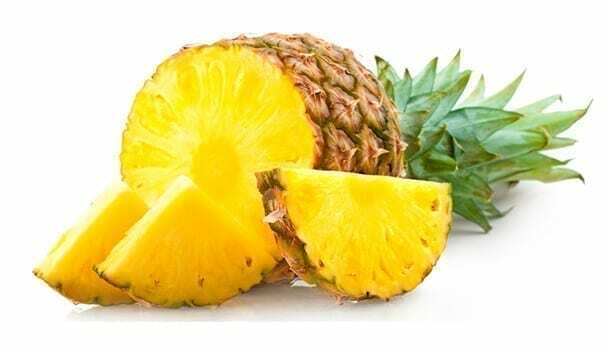 But pineapple is still one of the best home remedies for dehydration because it not only helps in enriching your body with more water content but also helps in easy digestion because this very enzyme called bromelain aids in easy digestion as it facilitates in an easy breakdown of proteins. What Do You Do, If You Absolutely Love Pineapple, But Cannot Savour The Flavour Because It Hurts Your Mouth? Add a fresh flavour of yoghurt to a pineapple slice or relish this tangy fruit with a sassy flavour of ice-cream! Yoghurt and ice-cream are both going to cool your system in an amazing way which is why this deadly combination of pineapple with either yoghurt or ice cream is going to be one of the delicious home remedies for dehydration! 5. Make This Cucumber Mojito Cocktail All By Yourself – Beat The Heat In Style! If you are already dehydrated, but still cannot resist yourself from partying hard and gulping down few drinks of mocktails, don’t worry, because, we have this interesting mocktail recipe for you, to let you invite all your friends and have them relish this amazing drink prepared by you, while you can create a joyous party mode and graceful ambience to rock your home party. 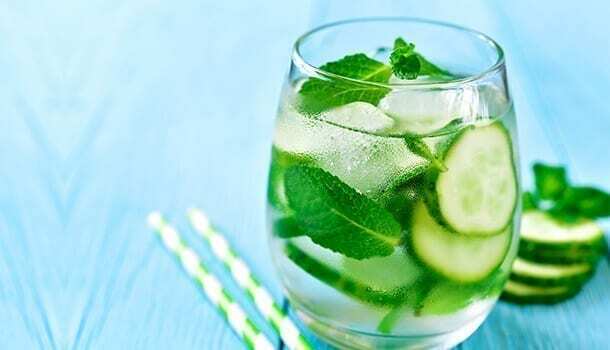 To prepare this special cucumber mojito cocktail, all you need is some fresh mint leaves, a tablespoon of fresh lime juice, ice cubes, and a cucumber and few tablespoons of sugar, to add a sweet essence. Citrus fruits are so refreshing and pulpy, they straightaway provide you with required levels of energy and vitality, making your brain cells function more efficiently than they usually do. Lemonade will help in increasing your metabolism, which is why you feel active and alive after relishing a fresh lemon juice. 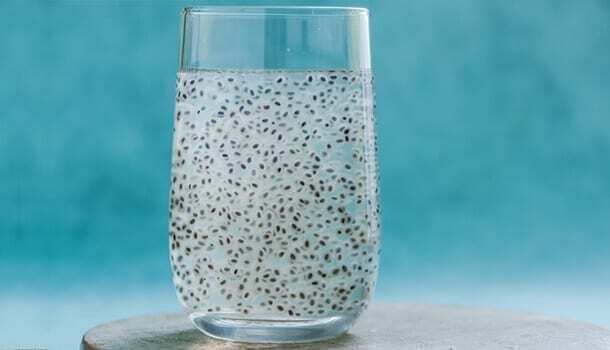 You can ask your grandparents of the best home remedies for dehydration and they would immediately give you a handful of basil seeds which have an amazing cooling property. Apart from this, they also help in easy digestion, control the blood sugar levels, and help in fighting many diseases because these seeds release anti-oxidants after they are soaked in water. This plant is originally a native to India and you can easily buy the seeds at your nearby store. For making basil seeds a part of dehydration remedies, all you have to do is, buy the seeds and soak them in water overnight. When they swell up next day in the morning, you can mix these seeds with some cool water. You can also add sugar to the sweet essence and drink every day before or after your meals or any time during the day. 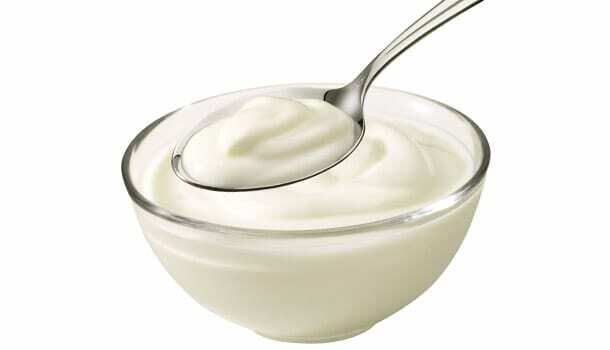 Yoghurt is a readily available ingredient, which is the best remedy to get rid of dehydration, but unknowingly, we consume it in lesser amounts than it Is usually required. 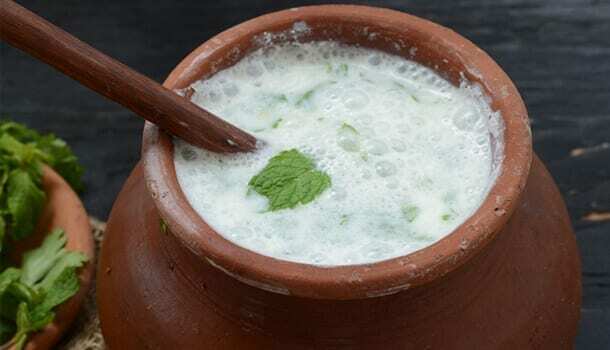 To make the most out of it, you could instead prepare a glass of buttermilk and relish it either by adding sugar or spicing it up with some pepper and curry leaves. Add few spoons of yoghurt to a glass and blend it until it becomes smooth. Add water and let both the quantities of yoghurt and water get mixed well. You can add some sugar for a sweet flavour and savour it before you hit the bed after your meals. 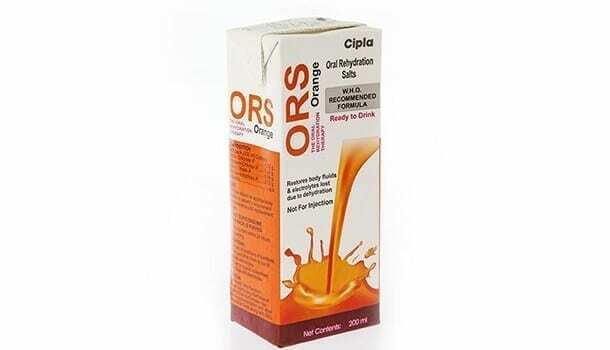 ORS is the most commonly used dehydration remedies, but you need not visit your medical shop to buy ORS packets. Instead, you can prepare this solution at your home, which is very simple and easy. Take one litre of distilled water and add five to 6 teaspoons of sugar to this. Add one half to one teaspoon of salt to this sugar mixed water and stir continuously until both the salt and sugar get completely dissolve. Store this ORS water in your refrigerator and drink this at least three to four times in a day to get rid of dehydration. In order to protect yourself from dehydration, you have to set an alarm to your mind, to keep reminding yourself that you need to consume water from time to time, no matter how busy you are because there is no other self-remedy for dehydration other than drinking required amounts of water. 10. Why Yoghurt Works as the best home remedies for dehydration? Nothing feels much better than savouring a cup of Greek yoghurt stored in a refrigerator after you get back home after a long tiresome day. Yoghurt contains an important electrolyte potassium which may be lost due to sweat or a frequent urination. Adding salt to yoghurt helps in an effective dehydration treatment because salt contains sodium as the major electrolyte which is an important element that is required for restoring water content. You can make a habit of consuming a fresh cup of greek yoghurt as a part of your regular meals to combat dehydration and its adverse side effects. We cannot, however, control the outside temperature but we can definitely keep a list of the above mentioned 10 ingredients handy with us so that we protect ourselves from the consequences of dehydration. Including at least 5-6 remedies in your lifestyle can relieve you from the dehydration symptoms.